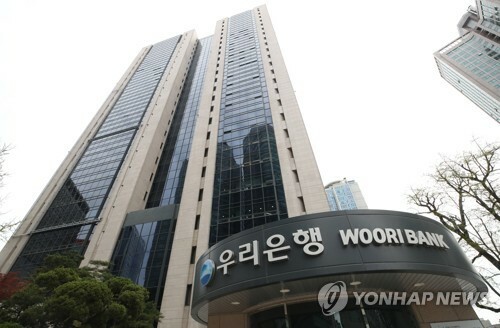 SEOUL, Nov. 7 (Yonhap) — The financial regulator on Wednesday approved a plan by Woori Bank to turn itself into a holding company as the lender seeks to bolster its competitiveness in non-banking businesses. The approval by the Financial Services Commission (FSC) came about seven months after Woori Bank, South Korea’s third-largest commercial lender, announced a plan for a holding company structure. Woori Bank plans to hold a board meeting on Thursday to decide on whether the chairman of the holding company will double as chief executive of the bank. The holding company will be launched in January 2019. Media reports have said the board meeting may allow one person to take the top post of both institutions, at least temporarily. Candidates for chairman of the holding company will be announced by Nov. 23, when the bank holds another board meeting. FSC Chairman Choi Jong-ku told a parliamentary meeting earlier this week that the financial regulator would accept a decision by Woori Bank on its governance structure. As part of a plan to privatize Woori Bank, the government sold a 28 percent stake to seven institutional investors in 2016, but it still holds an 18.5 percent stake in the bank. Woori Bank is the nation’s only commercial bank that doesn’t have a holding company structure. Senior FSC officials said the government will sell off its stake in Woori after the bank turns itself into a holding company. The government poured a total of 12.8 trillion won (US$11.4 billion) into Woori Bank to keep it afloat in the wake of the 1997 Asian financial crisis.